In recent years the Tellico DH has developed a negative reputation because, well, it sucked. Low water, poachers, reduced stocking by TWRA - any number of theories out there to explain why this DH hasn't fished well. Probably a combination of all of those things. Seems to be a different story so far this year though. I've recently heard some favorable reports from Tellico, so I went up there with a couple of friends to see for myself. And we pretty much nailed fish from sun-up to sun-down. 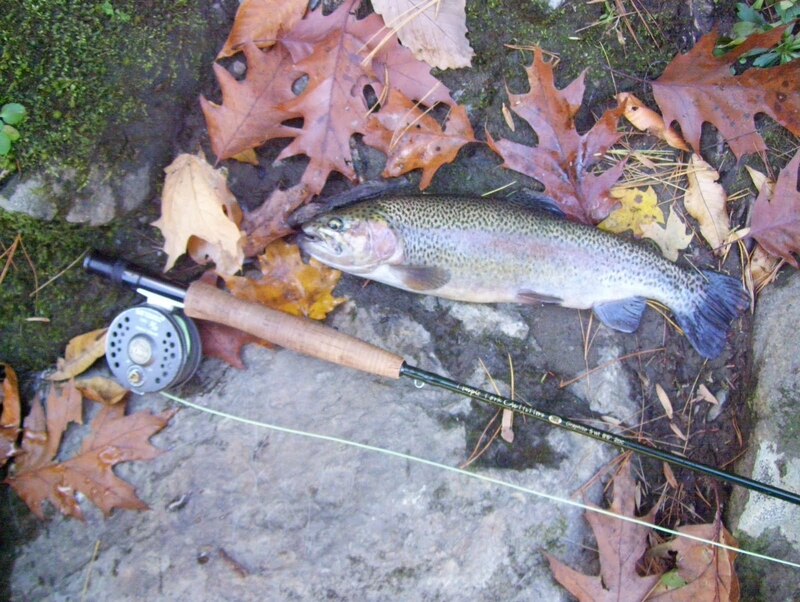 Mostly rainbows, but hell, TWRA even threw a few nice brook trout in there. Caught several fat brookies in the 10 to 12 inch range. Even caught a wild brown to complete the Tellico Trifecta. Nice. Anyway, I wonder how long it will last. There is a lot of water in the river right now and the trout are pretty well spread out, so maybe the DH will fish well into March. Then again maybe not. Guess what I'm trying to say is - if you're planning a trip up there, go now. The Tellico is fishing as well as I have seen in years. لا تقلل من مقدار الاستحواذ على زوجين من أصدقائك للمساعدة في تحريك المكونات الأثقل ، لن يؤدي هذا لاغير إلى إنجاز الهامة على نحو أسرع ولكن أيضًا يخفف من خطر الإصابة في وضعية تقسيم المكونات الثقيلة.